Halfback Ashley Taylor kicked a field goal in the second extra period to give the Gold Coast Titans a 29-28 golden point win over the South Sydney Rabbitohs in the National Rugby League on Sunday. 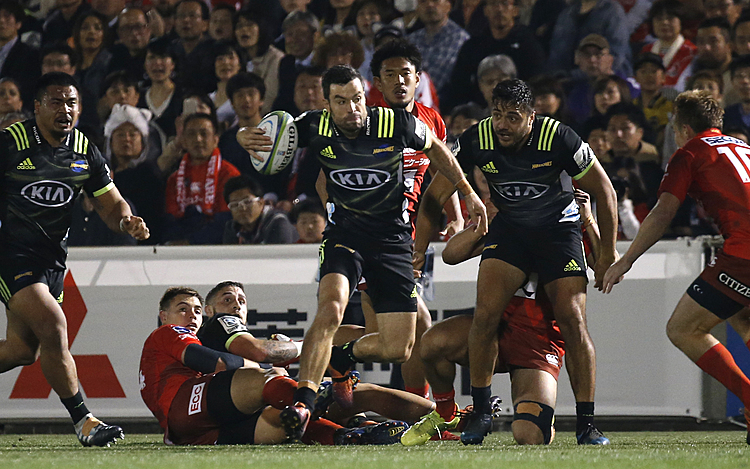 Souths, which trailed 18-0 early in the second half, scored a converted try in the final minute of regulation to send the match to extra time. The Rabbitohs had an Adam Reynolds field goal disallowed in extra time because of an illegal block. In the other match Sunday, the Sydney Roosters beat Wests Tigers 32-18 before an NRL-low crowd of only 3,622 due to heavy rain before and during the match at Sydney Football Stadium. 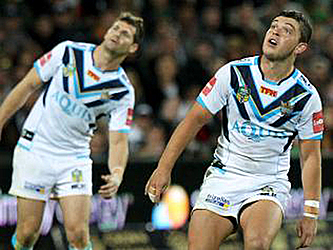 The Cronulla Sharks can move into first place when they play the Canterbury Bulldogs to conclude the 13th round Monday.